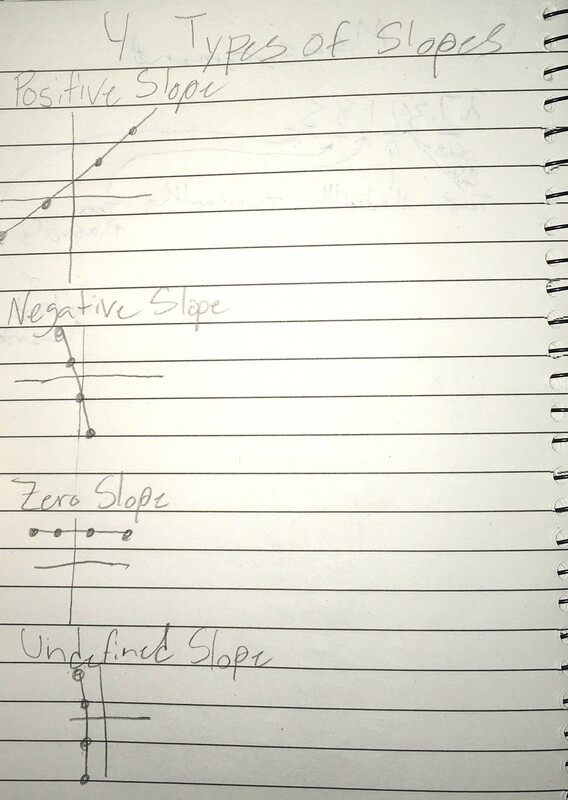 This week we learned about Slopes. 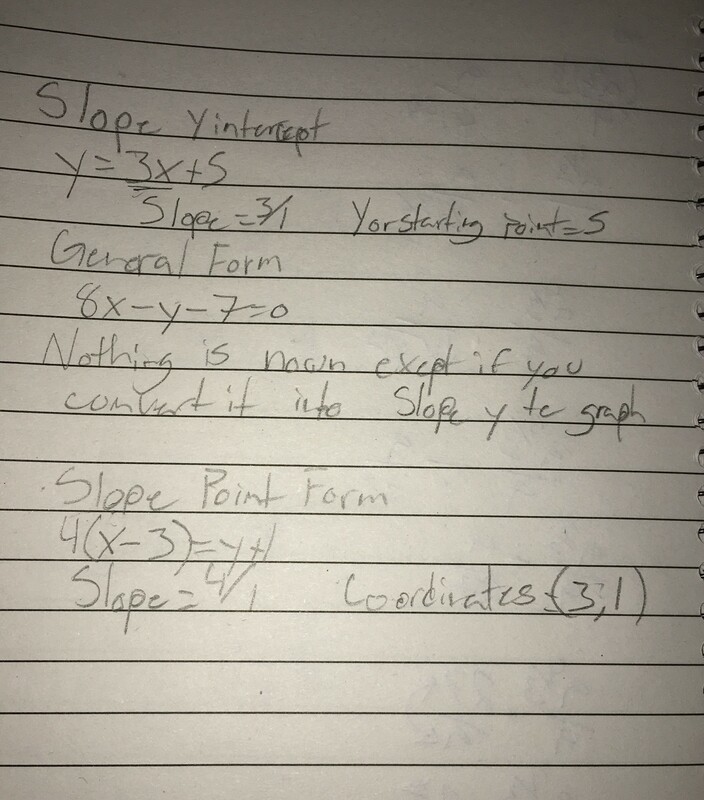 The formula to find a slope is rise, which is the y-axis and run which is the x-axis. 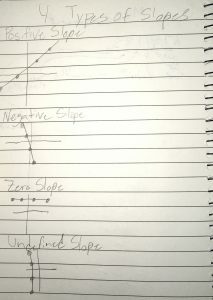 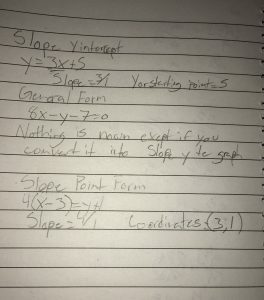 We also learned about the four different types of slopes positive, negative, zero, and undefined slope, to find these slopes, here are some helpful tips: slope = rise / run, rise is vertical on the Y axis, the run is horizontal on the X axis, positive slope is diagonal line going to the right, negative slope is diagonal line going to the left, zero slope is always horizontal, an undefined slope is always vertical and a nice point has no decimals in the slope.